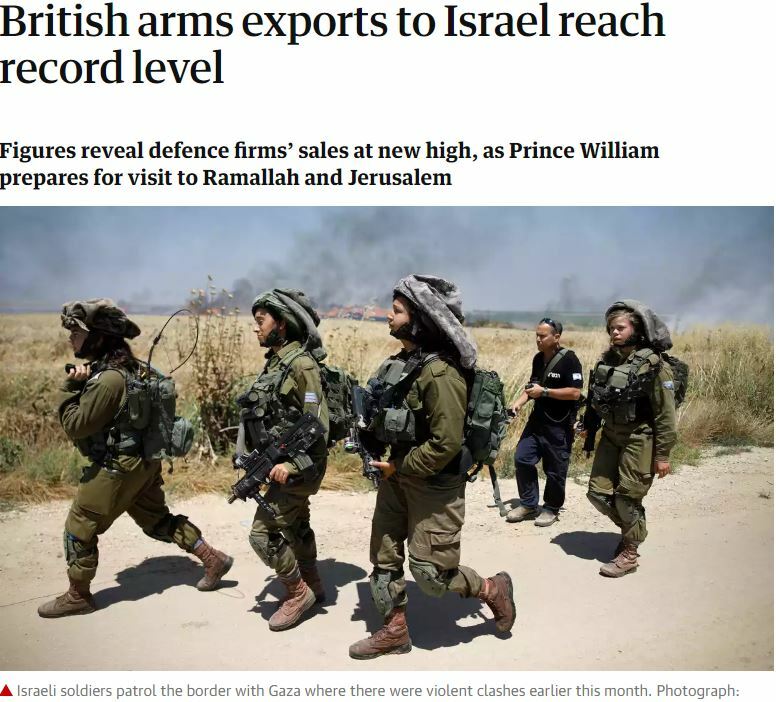 Yesterday, we tweeted about an extremely inappropriate photo accompanying a May 27th Guardian article on an increase in British arms exports to Israel. The photo actually depicts one of the more than 100 fires in Israel caused by hundreds of kite bombs launched by Palestinians in recent weeks – fires which incinerated an Israeli nature reserve, killed scores of animals and caused millions of shekels worth of damage to area farmers. A few hours later, we tweeted the Guardian’s head of photography, Fiona Shields, alerting her to the problem. Shields responded to our tweet by promptly replacing the original photo with one more appropriate. With all due respect, this particular intervention seems to have been misconceived and counter-productive. As inappropriate as the photo may have been, it at least showed the consequences of one example of the destructive activities of many of the supposedly “peaceful protestors” in Gaza. This photo may have been informative for at least some wilfully misinformed Guardian readers.